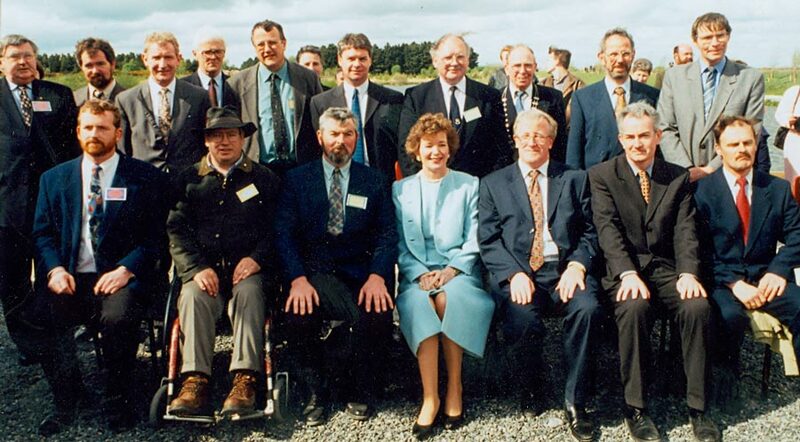 In 1997, the President inaugurated Loch an Dochais - one of the most rewarding aspects of the evolving Lough Boora Parklands complex. 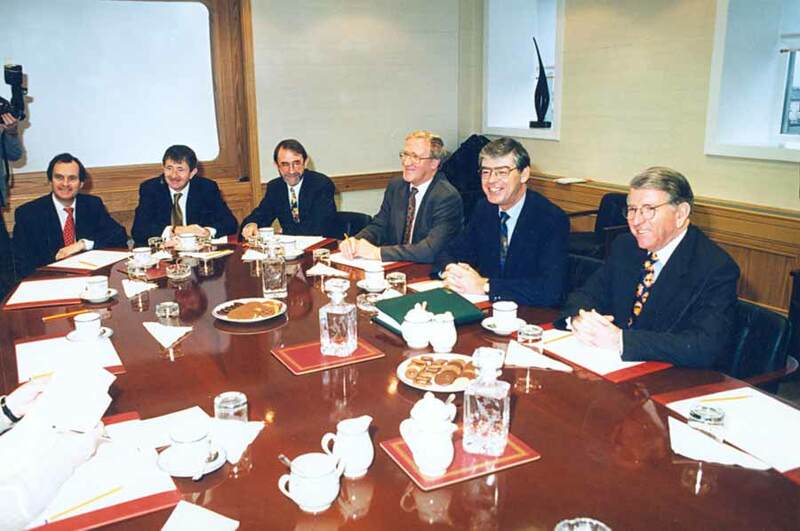 In May 1995 the Government decided to invest equity in Bord na Móna. This was the re-capitalisation of the company. 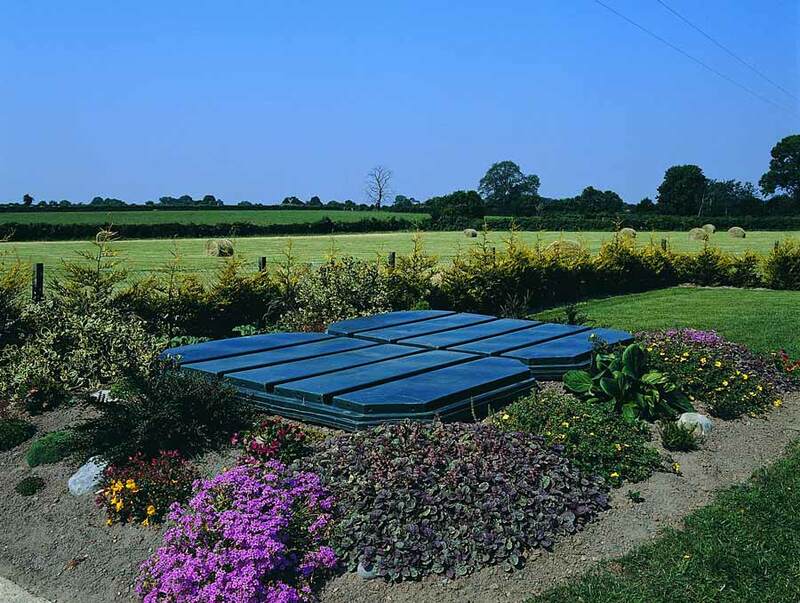 Arising from the work of the research and development the liquid effluent treatment system Puraflo was launched in 1990. A task force was established to study the structure of the company. The final report recommended that the company be divided into decentralised autonomous business units. 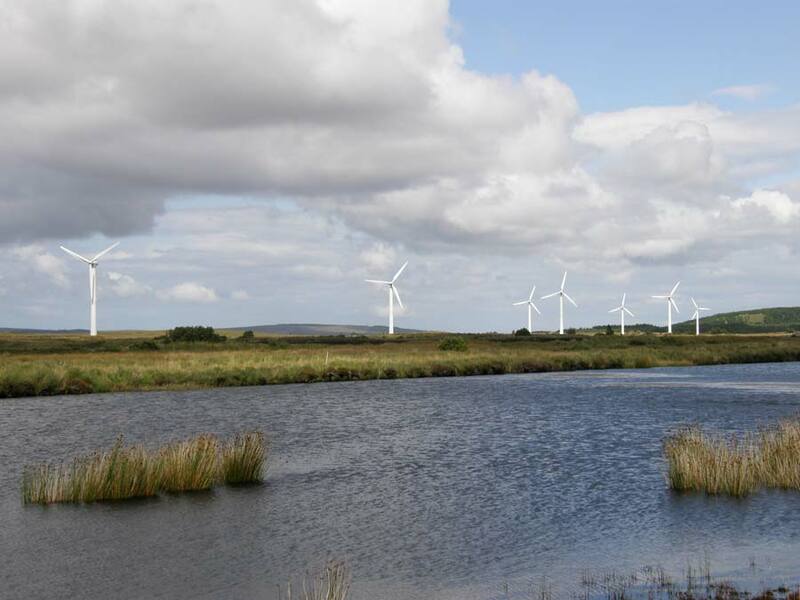 In 1991, Bord na Móna joined with a group of developers to establish a wind farm in Co. Mayo. 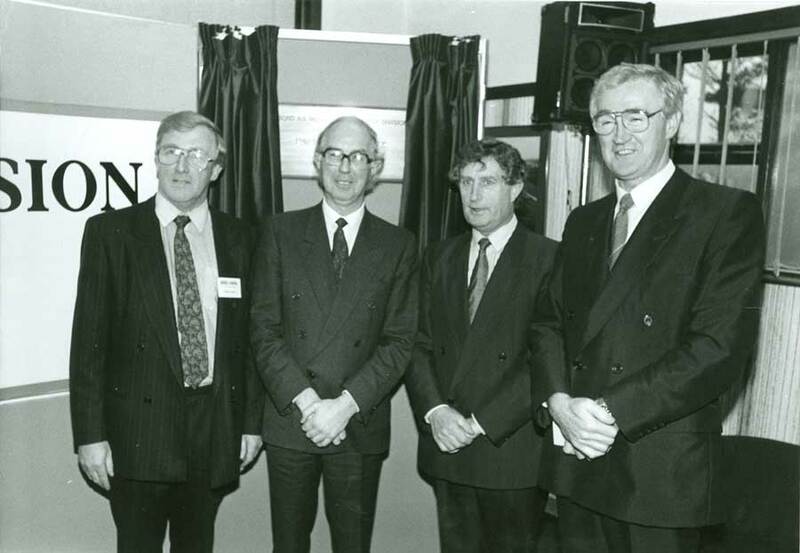 Bord na Móna has since bought additional shares in the venture and now owns 100% of the company. 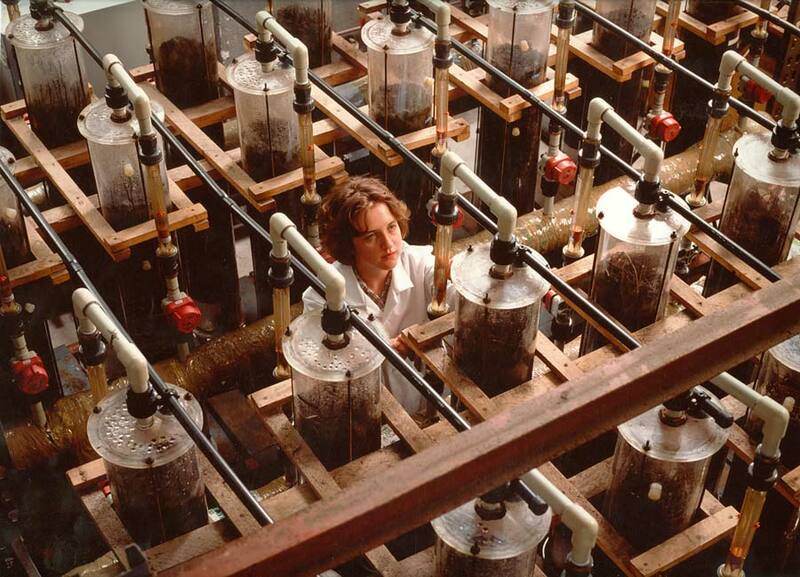 Continuous research and development led to the expansion of peat based biofiltration systems into non-peat based products for the abatement of odour and volatile organic compounds in air streams. Research and development in the fuels division led to the introduction of new products including the firelog and the firepak. 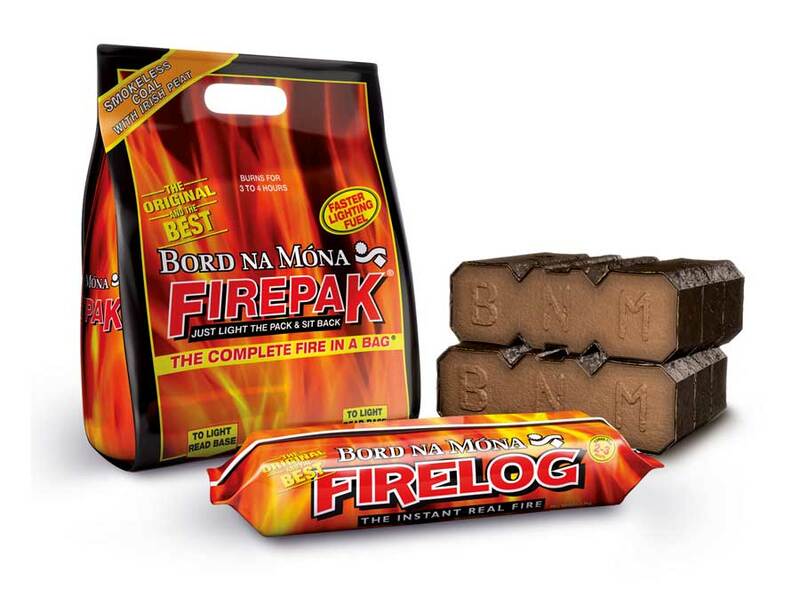 The firelog was voted new product of the year by Checkout magazine. 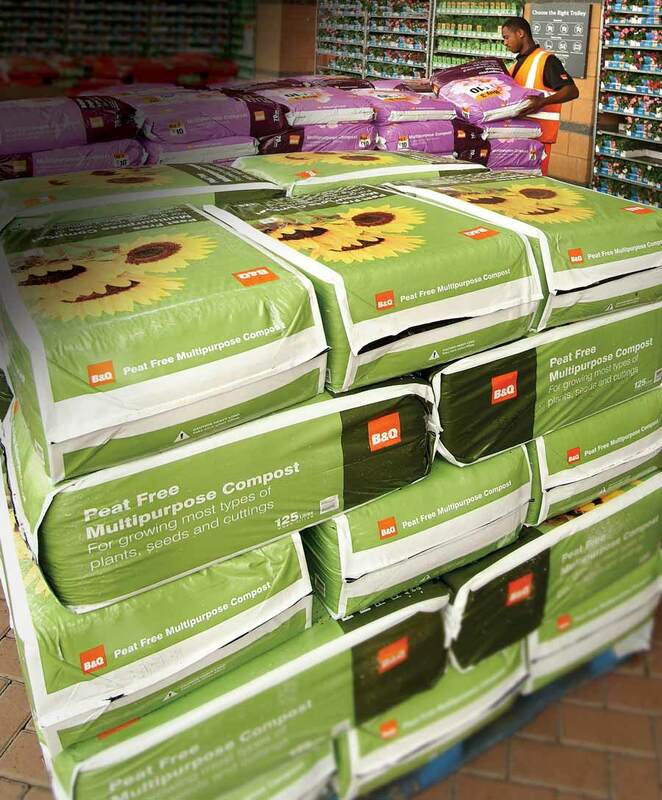 In 1992, Bord na Móna won a contract to supply retail horticultural products to the large B&Q chain in Britain.